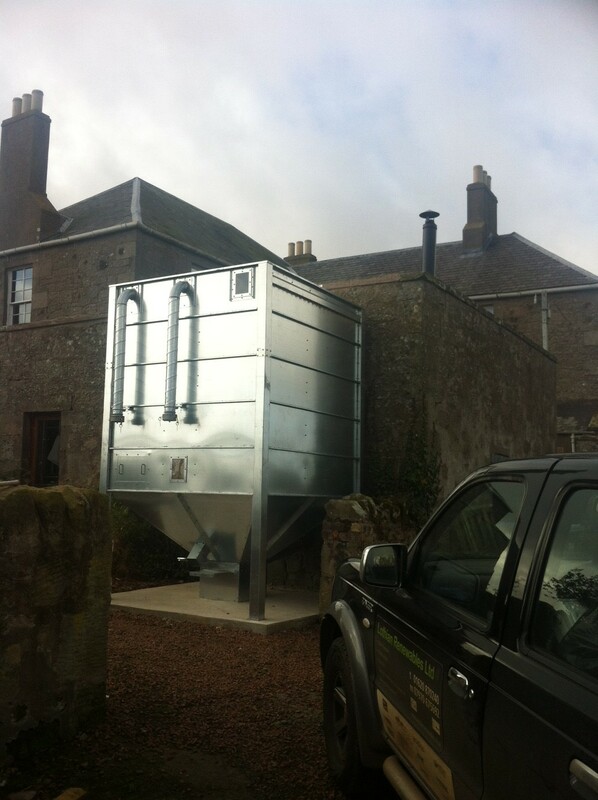 This recent Berwickshire installation of a 35kW Biotech boiler with 1000l buffer incorporated a 5t external pellet store. The fully waterproofed store allows the vacuum system incorporated in the boiler to supply fuel to the burner. 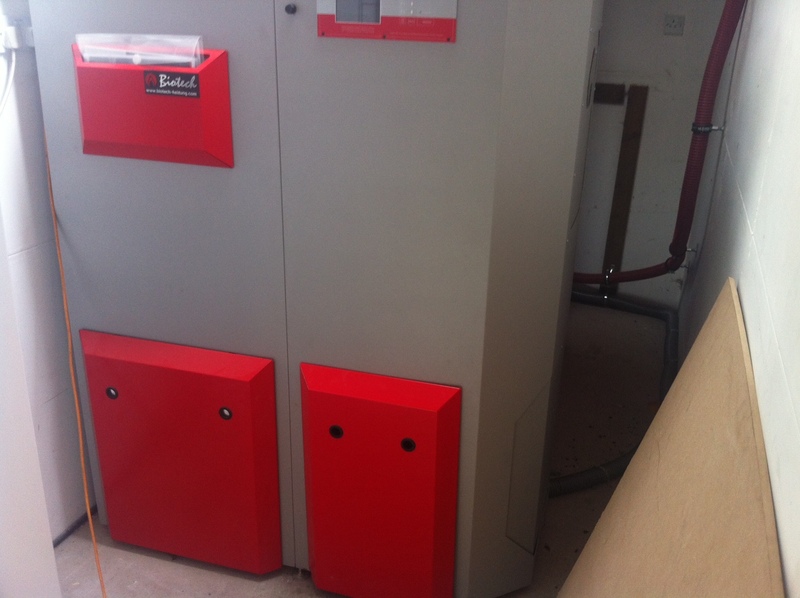 The boiler control is set to fill the boiler once a day thus avoiding any noise during the evening and night period. This entry was posted in Biomass, Case Studies. Bookmark the permalink.